yKAN Leadership Development Program Graduation and Holiday Party! Please join us for the graduation of the second class of yKAN's Leadership Development Program! For the keynote speech, Brian Oak, the Managing Director at Moodys, will be speaking about the identity of being a Korean American and how networking to build your social capital is imperative for one's career advancement. This was a core lessons from the leadership program. Brian Oak is a Managing Director in Moody’s Corporate Finance Group in New York, responsible for the Basic Industries ratings coverage in the US. Prior to his current role, Brian had responsibilities for a number of other industrial sectors, including homebuilding, consumer durables, and technology, as well as the Latin American corporates. Brian first joined Moody’s in the US High Yield team and transitioned to the Financial Institutions Group where he eventually headed the Asia/Pacific financial institutions rat­ings franchise. Brian’s experience prior to Moody’s includes The Bank of New York and Arthur Young & Co. He received a B.S. degree in Accounting from New York University and a MBA in International Finance from The Wharton School, University of Pennsylvania. 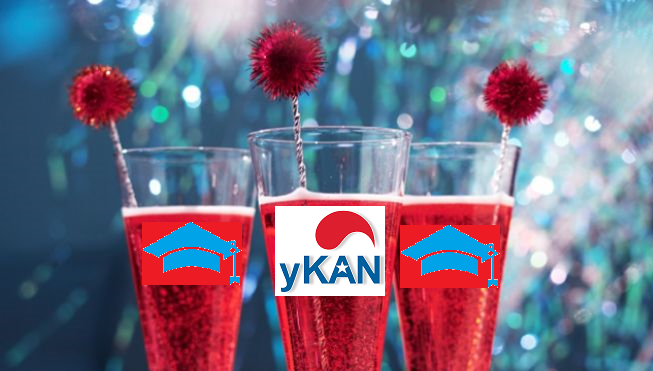 After the graduation, it’s the annual yKAN holiday party! Come join us as we celebrate yKAN's 18th year of serving the community. Come meet and network with the past and present leadership class, as well as with other yKAN members. All are encouraged to attend, and feel free to bring your friends. Light refreshments will be served. RSVP: Reserve your tickets online. http://ldpgradpty.eventbrite.com All tickets are SOLD OUT! You can add yourself to the wait list.